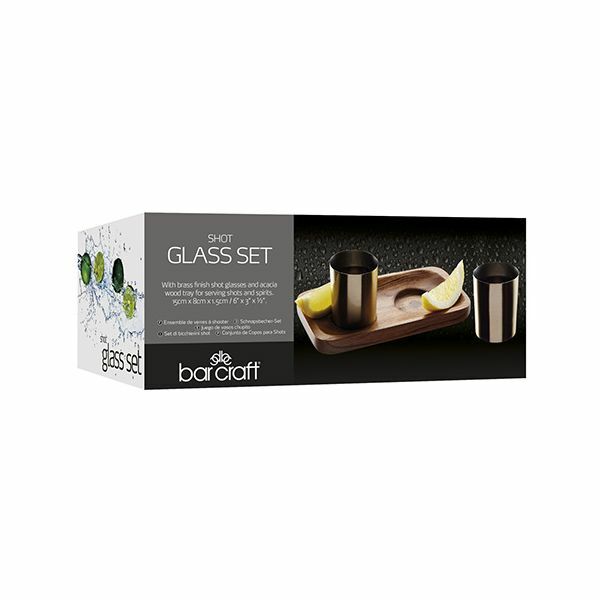 This sturdy pair of shot glasses is perfect for a shot challenge with a friend or just your favourite spirit. 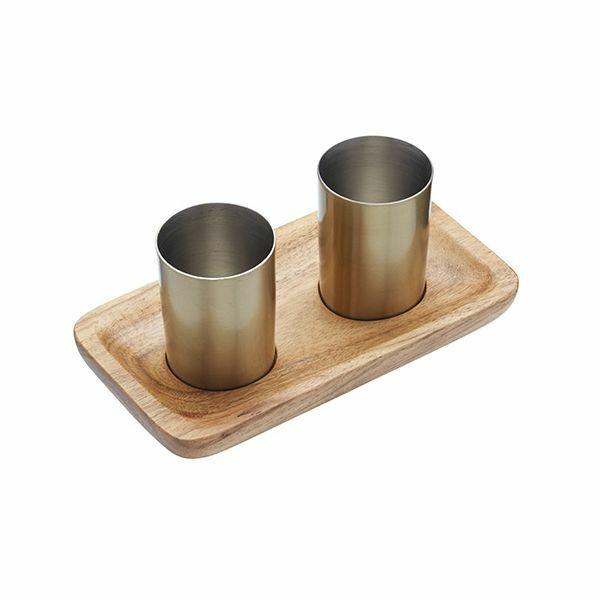 The stainless steel shots with a brass finish are ideal for anything from tequila to whisky. 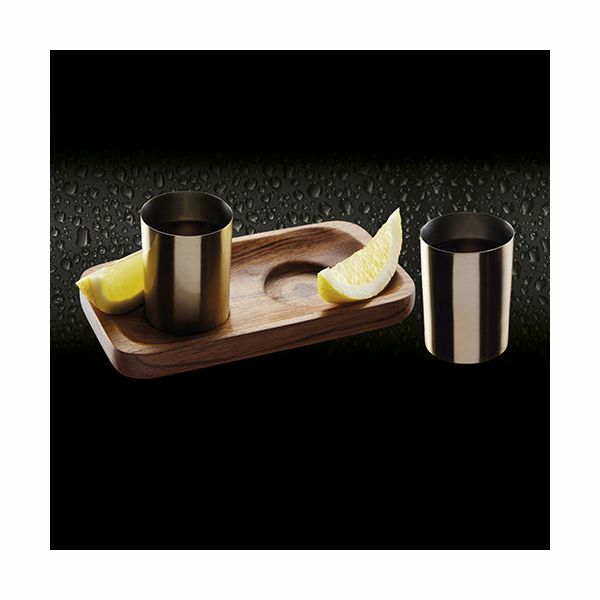 The acacia board together with the two shots make the perfect present or great for entertaining and parties.